Mantua, 28 October 2016 – At a meeting today chaired by Roberto Colaninno, the Board of Directors of Piaggio & C. S.p.A. examined and approved the interim report on operations for the nine months to 30 September 2016. Piaggio Group performance was positive in the first nine months of 2016, with an improvement in all the main indicators compared with the first nine months of 2015. Group consolidated net sales in the first nine months of 2016 totalled 1,031.7 million euro, up 2.9% (+4.7% at constant exchange rates) from 1,002.6 million euro at 30 September 2015. Revenues rose on all the main Group lines of business, with turnover in the two-wheeler sector rising to 730 million euro, up 4.1% from 701.1 million euro in the first nine months of 2015 including spares and accessories. Revenues for commercial vehicles, including spares and accessories, were 301.7 million euro, substantially stable compared with 301.5 million euro at 30 September 2015. At geographical level, the revenue growth in EMEA and the Americas (+4.9%) and Asia Pacific (+3.1%) more than counterbalanced the decrease reported in India due to a negative exchange-rate effect (-2.0%; +3.3% at constant exchange rates). Performance was particularly positive in the main Asian countries covered by Piaggio Vietnam, with turnover in the first nine months of 2016 rising by approximately 40%, a clear sign of the huge potential in the area. The industrial gross margin at 30 September 2016 was 309.9 million euro, up by 4.5% from 296.5 million euro in the year-earlier period. The return on net sales was 30%, up from 29.6% in the first nine months of 2015. Amortisation and depreciation included in the industrial gross margin totalled 26.9 million euro, compared with 28.2 million euro in the first nine months of 2015. Operating expense in the first nine months of 2016 was 249.4 million euro (238.4 million euro at 30 September 2015). Operating expense includes amortisation and depreciation of 54.1 million euro not included in the industrial gross margin (49.4 million euro in the first nine months of 2015). The changes in the income statement described above generated consolidated EBITDA of 141.5 million euro, an increase of 4.3% (5.5% at constant exchange rates) from 135.7 million euro in the first nine months of 2015, and an EBITDA margin of 13.7% (up from 13.5% at 30 September 2015). EBIT in the first nine months of 2016 amounted to 60.5 million euro, up 4.2% from 58.1 million euro in the year-earlier period. The EBIT margin was 5.9% (5.8% at 30 September 2015). At 30 September 2016, the Piaggio Group posted profit before tax of 33.6 million euro, up 10.1% compared with 30.5 million euro in the year-earlier period. Income tax for the period was 14.5 million euro, with an impact on pre-tax profit of 43%. The first nine months of 2016 closed with net profit of 19.2 million euro, an increase of 4.6% compared with 18.3 million euro in the year-earlier period. At 30 September 2016, the Piaggio Group had net debt of 469.5 million euro, an improvement of 28.6 million euro from 31 December 2015 (498.1 million euro) and of 26.3 million euro from 30 September 2015 (495.8 million euro). Group shareholders' equity at 30 September 2016 was 393.2 million euro (404.3 million euro at 31 December 2015). Piaggio Group capital expenditure in the nine months to 30 September 2016 amounted to 65.7 million euro (68.2 million euro in the year-earlier period), of which 35.5 million euro for R&D expenditure (39.9 million euro in the first nine months of 2015) and approximately 30.2 million euro for property, plant and equipment, investment property and intangible assets (28.3 million euro at 30 September 2015). The total workforce of the Piaggio Group at 30 September 2016 numbered 7,197 employees. The Group’s Italian employees numbered 3,585, substantially unchanged from the year-earlier period. In the first nine months of 2016, the Piaggio Group sold 411,700 vehicles worldwide, an increase of 3.9% from 396,200 in the year-earlier period. 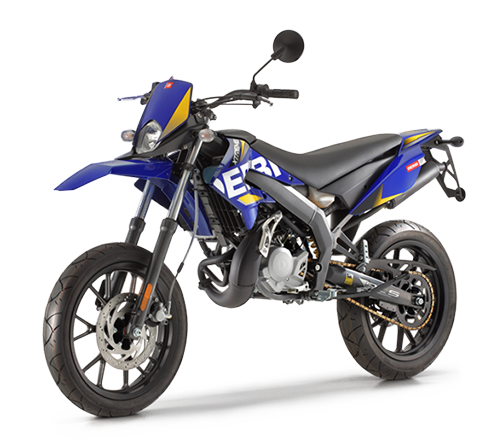 In the nine months to 30 September 2016, the Group sold 266,400 two-wheelers worldwide (up 6.1% from 251,000 in the year-earlier period), generating net sales of 730 million euro, an improvement of 4.1% from 701.1 million euro in the first nine months of 2015. The figure includes spares and accessories, on which turnover totalled 97.4 million euro (in line with the first nine months of 2015). A positive contribution to two-wheeler revenues also came from the marketing of the Piaggio Wi-Bike pedal-assisted bicycle, a clear example of the developments being taken forward by the Group in electric vehicles. 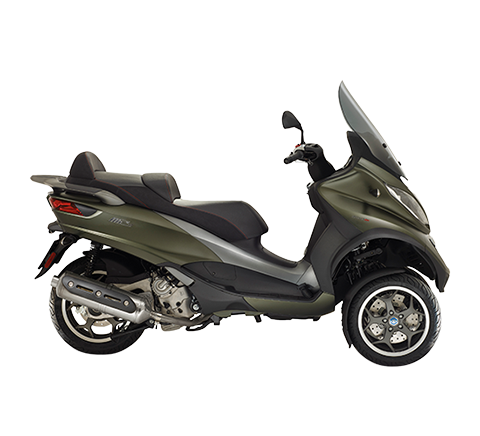 In the first nine months of 2016, the Piaggio Group continued to strengthen its leadership on the European two-wheeler market, with an overall market share of 15.5% (15.1% at 30 September 2015) and a 25.9% share of the scooter segment. The Group also maintained a particularly strong positioning on the North American scooter market, with a share of 18.9%. 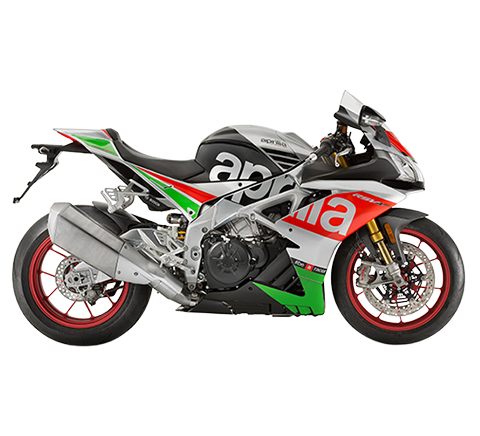 On this market, the Group is also boosting its presence in the motorcycle segment with the Aprilia and Moto Guzzi brands. 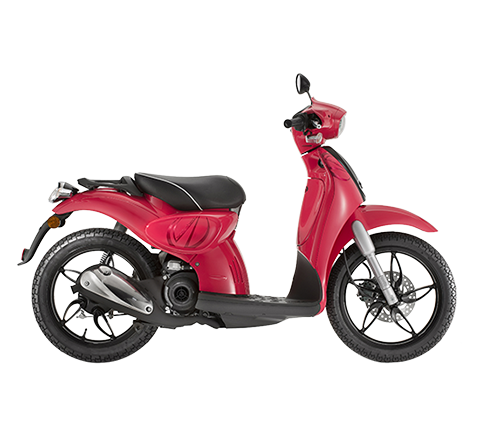 In the scooter segment, attention is drawn to the results of the Piaggio Group in the high-wheel segment, where global revenues made strong progress, largely thanks to the Nuovo Piaggio Liberty, the Beverly and the new Piaggio Medley ABS, which has boosted market share for Group vehicles since entering the segment. 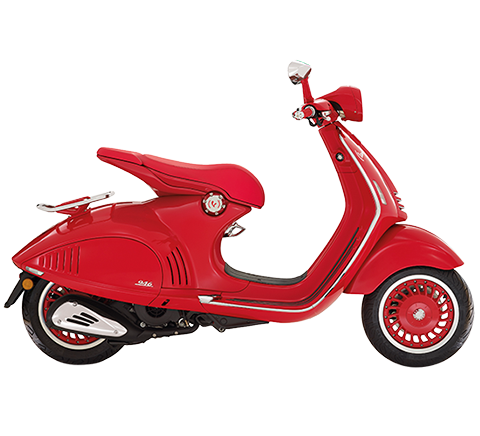 The Vespa brand strengthened its presence on the European market, with revenues up by 3.6%. In August, the Aprilia brand made its debut on the Indian scooter market (the largest in the world, with more than 5 million vehicles shipped every year and growth of 22% in the first nine months of 2016 from the year-earlier period), with the launch of the Aprilia SR 150 sports scooter sold at the competitive price of 65,000 rupees (approximately 880 euro). Around 3,000 scooters had been sold by the end of September 2016 and sales are expected to intensify in the final months of the year. The Group motorcycle sector also reported healthy performance, thanks to an 8% increase in Moto Guzzi sales, assisted by the new V9 Roamer and Bobber and by the first sales of the MGX-21, the large total black cruiser, which had its world preview in August at the 76thSturgis Motorcycle Rally to a warm reception from users and the international media. Analysis of the Aprilia brand reflects the growth of the supersport models in the Tuono V4 range, which reported a 43.4% increase in sales. Aprilia was also in the spotlight at the German two-wheeler show Intermot in Cologne in early October, where it presented the new Aprilia Tuono 125 and the Aprilia RS 125 my 2017, to strengthen its position in 125cc vehicles, one of the fastest growing market segments to date (+33.3% in the first nine months in Italy, YoY – Ancma figures). In the commercial vehicles sector, the Group sold 145,300 vehicles (145,100 in the first nine months of 2015) for net sales of 301.7 million euro (301.5 million euro in the year-earlier period). The figure includes spares and accessories, where sales totalled 33.1 million euro (+5.6% from 31.4 million euro in the first nine months of 2015). On the Indian market for three-wheel commercial vehicles, the PVPL subsidiary had an overall share of 28.3% and confirmed its leadership in the Cargo segment with a market share of 51.2%. The Group also recently strengthened its positioning in South America where it began marketing the new Ape City and Ape Romanza in Mexico. By the end of 2016 the vehicles will also be exported to Peru, Colombia, Guatemala and Honduras, where previous models of the Ape are already available and with versions for goods transport or that can be adapted for use as mobile shops. In the first nine months of 2016 the PVPL production hub also exported 15,300 three-wheel commercial vehicles worldwide. These sales arose in part in the EMEA and Americas area and in part in the India area, in connection with responsibility for management of the individual markets. On 7 July, the Piaggio Group signed important agreements to market the Vespa and Piaggio brands in Brazil, Argentina and Uruguay. On 7 July, the Group also presented the new versions of the Vespa Primavera and Vespa Sprint equipped with the new Piaggio I-Get engine, which complies with Euro4 regulations The new scooters offer a richer range of features, including ABS, which is now a standard function on all 125 and 150cc versions, and a USB port. On 14 July, the Piaggio Group announced its continuation of growth on the world’s fastest growing high-volume markets with the entry of the Aprilia brand on to the Indian scooter market. 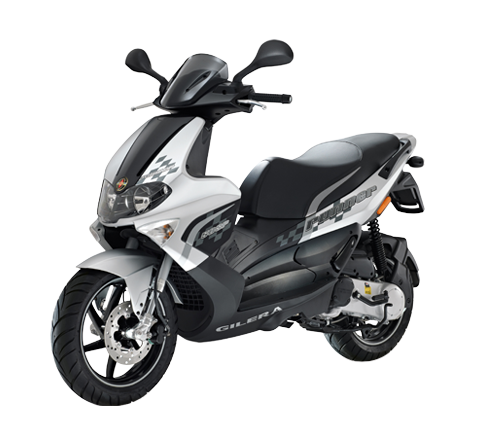 Local marketing began in August of the new Aprilia SR 150 sports scooter at the competitive prices of 65,000 rupees (approximately 880 euro). 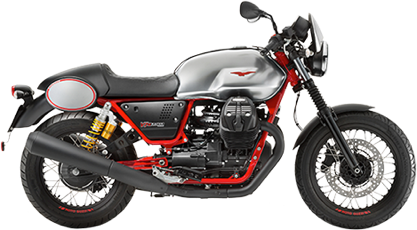 In August, Moto Guzzi took part in the 76th Sturgis Motorcycle Rally (8 – 14 August), one of the world’s largest two-wheeler rallies, for a preview presentation of the new MGX-21. The Moto Guzzi MGX-21 is a large cruiser with a 1400cc transverse 90° V-twin engine, featuring latest-generation electronic driving systems; the model is sold in carbon fibre total black with red cylinder heads, a front shield and large 21” front wheel. On 11 August, the Piaggio Group announced the roll-out of its distribution network on the Indian and Asia Pacific market (APAC) with the opening of 12 new Motoplex multibrand stores. The latest additions take the worldwide total of Piaggio Group Motoplex stores flanking the traditional distribution network to 140, located in the Emea area, APAC (including India) and the Americas. On 4 October the Piaggio Group took part in Germany's Intermot two-wheeler show, with the presentation of important additions for its Aprilia and Moto Guzzi motorcycle brands and for the Vespa range. Specifically, it unveiled the Aprilia Tuono 125, the Aprilia RS 125 my 2017, the Moto Guzzi Audace Carbon and the new Vespa GTS equipped with the liquid-cooled I-Get engine, in 125 and 150cc displacements. On 10 October, as part of its plans to expand and strengthen its operations on markets in South America, the Piaggio Group began marketing the Ape, its well-known three-wheel vehicle, in Mexico. In Mexico, the Ape has been launched in the new Ape City and Ape Romanza passenger models. By the end of 2016 the Group also plans to begin marketing in Peru, Colombia, Guatemala and Honduras, where previous models of the Ape are already available and with versions for goods transport or that can be adapted for use as mobile shops. On 24 October Piaggio & C. S.p.A. said it had signed a 12.8 million euro leasing agreement with Alba Leasing expiring in 2026 to finance the new automated paint shop at the Pontedera factory. For the Piaggio Group, the leasing contract is part of an on-going series of measures to optimise its debt structure by extending its average debt maturity and diversifying its sources of funding, assisted by the opportunities currently offered by a favourable market scenario. The presentation of the financial results as at and for the nine months ended 30 September 2016, which will be illustrated during a conference call with financial analysts, is available on the corporate website at www.piaggiogroup.com/it/investor and on the “eMarket Storage” authorised storage mechanism on the website www.emarketstorage.com. The Piaggio Group consolidated income statement, consolidated statement of financial position and consolidated statement of cash flows as at and for the nine months ended 30 September 2016 are set out below.